Tune up your game and test yourself under the instruction of champions in an exclusive tennis camp that can only be described as legendary! Along with world-renowned coaches, Wayne Bryan, father and former coach of the World #1 Doubles Champions Mike & Bob Bryan, and Murphy Jensen, former French Open doubles champion, camp participants will be coached by other top ATP/WTA pros and Legends. Enjoy three days of on-court instruction and competition. 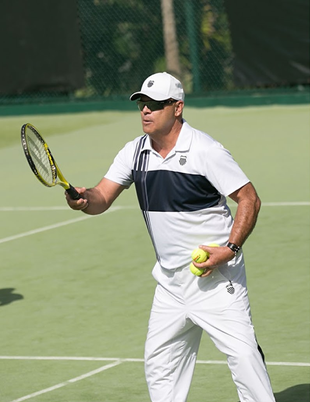 During the course of the week you’ll get help with your game, experience fun competition with the pros, and gain a better insight into the game of professional tennis. Match play in the afternoons and up and coming ATP pros available to hit and play with at your leisure. 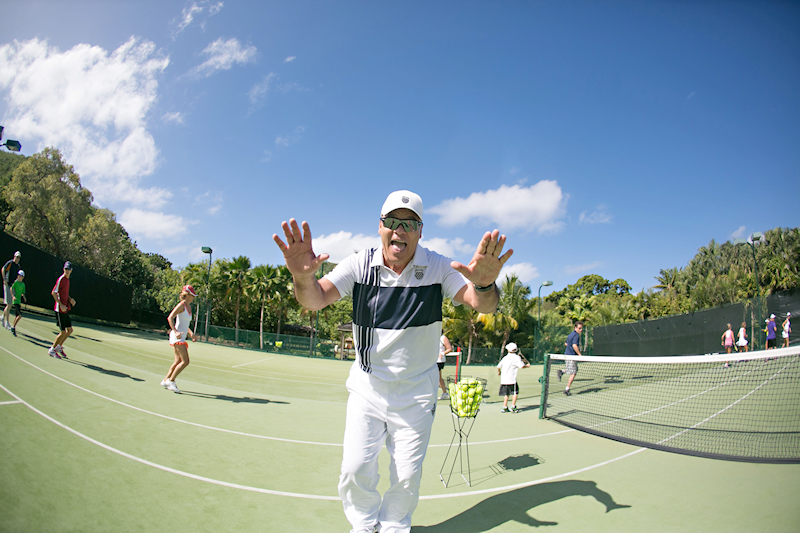 The Platinum package includes two days watching the Necker Cup and mingling with tennis starts such as Novak Djokoivic, Rafael Nadal, Boris Becker, Bjorn Borg, Kim Clijsters, Marion Bartoli, Brad Gilbert (to name just a few of our previous guests), over lunches and dinners on Sir Richard Branson’s private island. Upgrade to a Master Suite is an additional $1000 per couple. Build a custom experience based upon your unique requirements with pricing starting at $25,000. Please contact us at 1.800.376.0975 to create your own itinerary and packages. Entry for two players into the Legends Camp. Accommodations for 4 nights, based upon double occupancy in a standard room. Watch the 2018 Manuka Doctor Necker Cup presented by Metal one morning. Room upgrades available upon request. From leisure to adrenaline, we can cater to any guest’s needs.